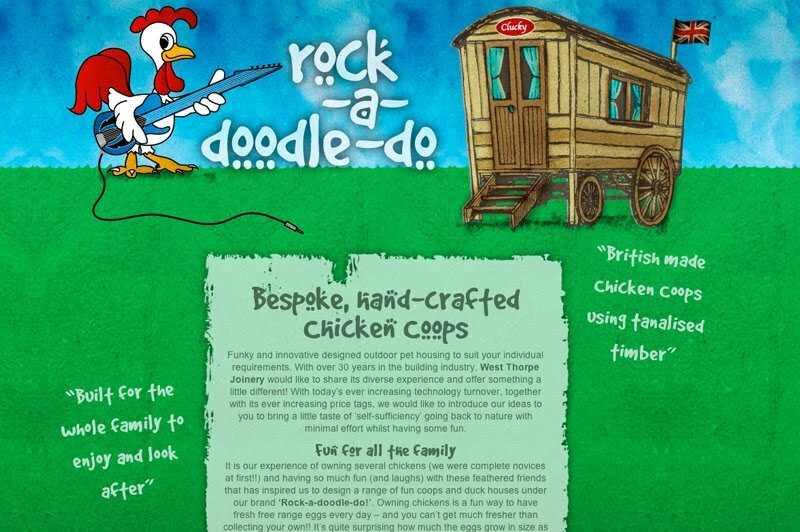 Today was the launch for the new one page website for Rock-a-doodle-do by fullfatdesigns.co.uk. Chicken Coops and other funky and innovative designed outdoor pet housing from the team behind West Thorpe Joinery, so you can expect a quality build with over 30years in the building industry. The site shows what can be achieved using just one page and a limited amount of text and images. The website will grow over the following months as the brand increases to feature a gallery and more details on the products offered. After having the Full Fat Designs website accepted into the coolhomepages gallery, I have set up one of their portfolio pages for the agency. The sizes of the jpgs you can upload at 900px really show off your work and make up a great page. You can view Full Fat Designs page via the link below. Do you own or run a restaurant or pub in Leicester / Leicestershire? Then you could be receiving one of the new wine bottle flyers from Full Fat Designs. One side shows all the graphic design services from logo design to catalogue as a red wine bottle. Then the flip side lists the web design services from flash banners to html websites on a white wine bottle. The envelope was printed with a message of having a drink with Full Fat Designs, and inside an apology that the bottle wasn't real (as it wouldn't fit in the envelope). The main aim was to try to appeal to the food and wine trade with a visual statement and show them what can be achieved in one flyer. Around 100 of these were posted out, hopefully some make it past the instant binning stage and get read by a potential new client. After a lot of thought and many hours listening to companies telling me why their advanced/sponsored listed is best, a decision was made. We opted to go for the combined package from Touch Local & Scoot. It's tough when you can see how so many of these systems can work for you, but realistically you can't go for all of them due to tight budgets. TL&S were the cheapest option and we felt would offer a great starting point to see how much extra interest it achieved. Their monthly stats for the keywords we were interested in (graphic design and web design) seemed a good price. We will post the response on here after a few months.